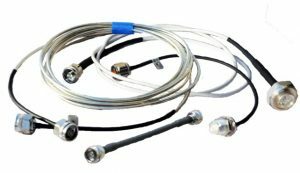 ClearComm offers custom made Low PIM Jumper Cable Assemblies in RG 401 and 402 sizes, with or without jackets (.141 and .250 diameters). Available connectors include SMA, Type ‘N’, 7/16 DIN, 4195 MiniDIN, 4310 MiniDIN and QMA’s. 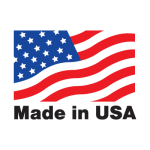 Bulkhead, Flange, and Right angle connectors are available for most types. In addition to the standard diameters and cable types shown, we can also offer customer requested cables. Return Loss (DC-6 GHz) 20 dB Min. 20 dB Min. 20 dB Min. Voltage Rating 1.9 kV RMS @ 50 Hz 4.0kV RMS @ 50 Hz 6.0 kV RMS @ 50 Hz. Note 1 – Cables with SMA or QMA Connectors cannot be PIM rated.